UNIVERSAL CITY, Calif. — Jan. 18, 2017 — NBC has ordered 20 more episodes of its edge-of-your-seat new alternative hit “The Wall,” executive produced by NBA superstar LeBron James and Maverick Carter and hosted by Chris Hardwick. Following “Better Late Than Never,” “The Wall” marks the second show to launch under the newly formed Universal Television Alternative Studio, which was announced in June. “The Wall” is also garnering exceptional interest across the globe with top French broadcaster TF1 being the first foreign territory to commission the show and gearing up to produce 40 episodes this spring. In its first two regular Tuesday telecasts, “The Wall” has averaged a 1.7 rating in adults 18-49 and 6.9 million viewers overall, according to “live plus same day” ratings from Nielsen Media Research, with both telecasts building substantially from half-hour to half-hour in virtually every key ratings category. “The Wall” also increased its audience from week one to week two (6.8 million to 7.0 million), making its Jan. 10 episode the most-watched telecast of an in-season first-year alternative series on the Big 4 networks, excluding last season’s NBC hit “Little Big Shots,” since March 2013. With more than $12 million on the line every night, and up to $3 million on a drop at four-stories high, “The Wall” was built for one purpose — to change everyday people’s lives in an instant. 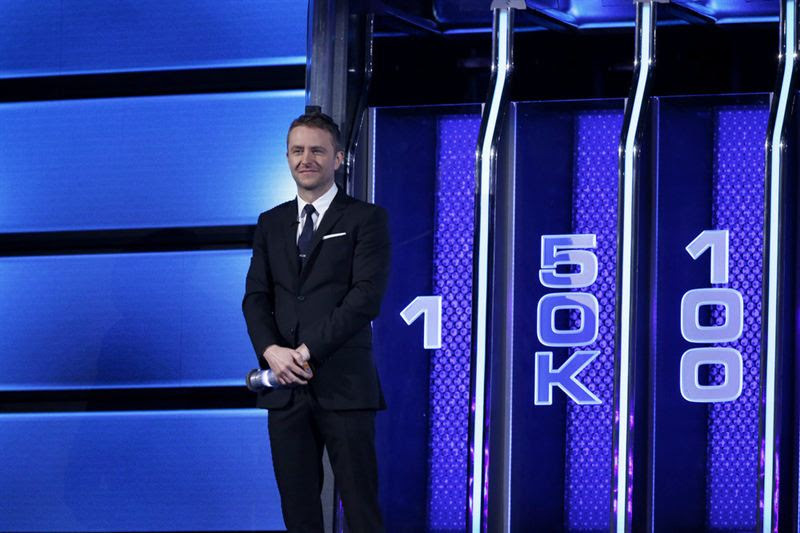 Hosted and executive produced by actor, comedian, author and TV personality Chris Hardwick, “The Wall” offers a pair of deserving teammates life-altering cash prizes. The rules are simple: Get a question correct and a green ball will fall down the wall and add the value of the slot to the players’ winning total. Miss a question and an ominous red ball will fall and deduct the value from the team. Teammates have to work together to build a huge cash prize. However, the towering wall is not easily conquered. Wildly unpredictable, the wall is capable of millions of different outcomes. As the game progresses, the stakes get even higher when one player is sent into an isolation room behind the wall. It is here where the pair’s faith in each other will be tested as the teammates play the remainder of the game without any communication. A rollercoaster of emotions, the wall gives and the wall takes away. One minute you’re up and the next you’re one bounce away from zero. In this game, you need both the answers and bounces … with millions at stake every night. “The Wall” is a collaboration between SpringHill Entertainment and Glassman Media with James, Hardwick, Carter and Andrew Glassman serving as executive producers. “The Wall” was developed by Glassman Media in conjunction with CORE Media and produced in association with Universal Television Alternative Studio. The Voice Top 8 REVEALED!